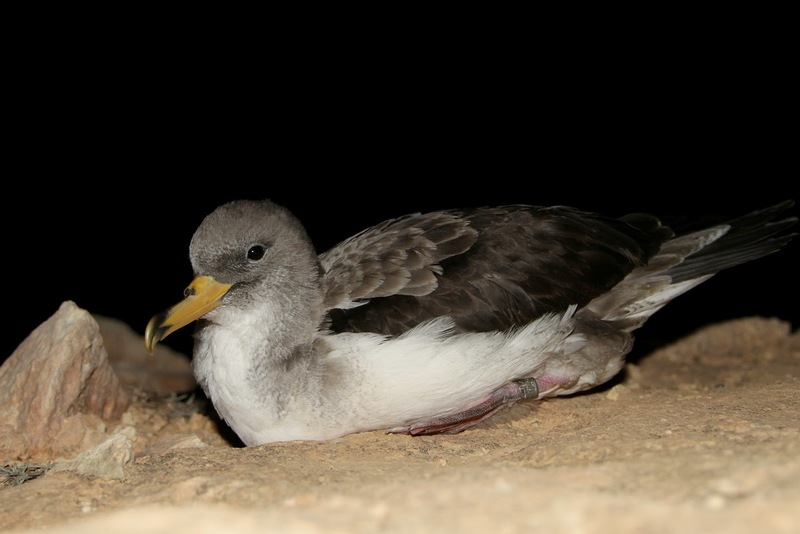 BirdLife Malta has today reported 17 cases of young Scopoli’s Shearwaters stranded inland due to the effects of light pollution in the past two weeks alone. The organisation is appealing for the authorities to tackle coastal light pollution, and to members of the public to report shearwater strandings. Young Scopoli’s Shearwater found stranded in Xlendi on 15/10/2014, before being successfully released at Ta Ċenċ cliffs. Photo by Joe Sultana. The Scopoli’s Shearwater, Ċiefa in Maltese, is one of four nesting seabirds in the Maltese Islands. Spending their whole lives at sea and approaching land only at night, these birds nest in Malta’s remote cliffs away from developed areas. 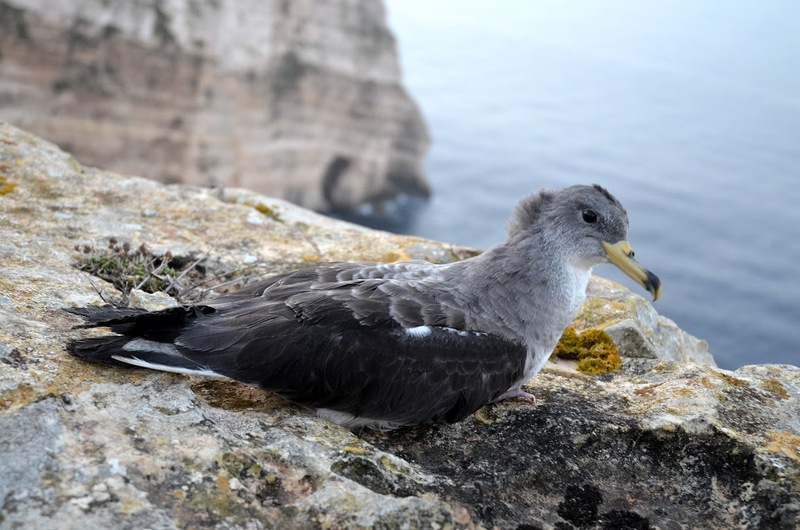 Following their breeding season in summer, young Scopoli’s Shearwaters start venturing out from their cliff nests from late September into October, relying on the safety of darkness to do so. Very much like marine turtles, young Scopoli’s rely on the natural brightest source of light at night, the horizon, in order to be guided offshore. Insensitive lighting from coastal development misleads these birds inland, often ending with these birds grounded and unable to make it back to the sea. 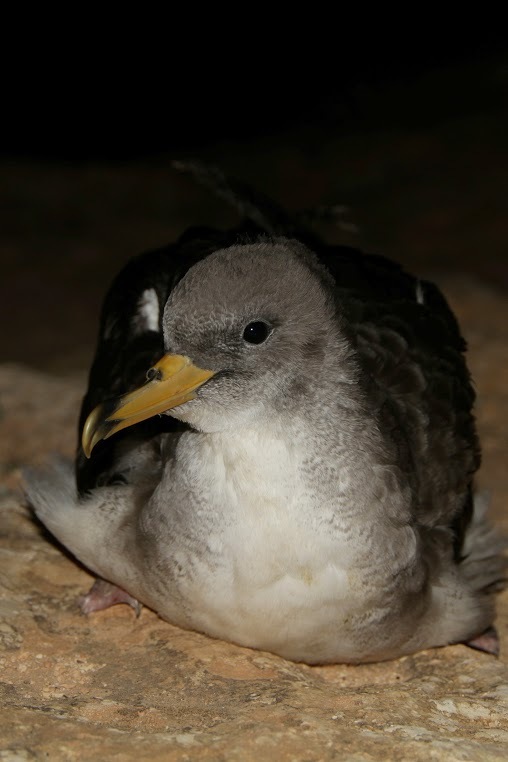 “Light pollution is one of the main threats for Malta’s shearwaters, not only causing these strandings but also the abandonment of entire colonies in the past” said Dr. Benjamin Metzger, Head of Researcher at the LIFE+ Malta Seabird Project (1). Young Scopoli’s Shearwater found stranded at Cirkewwa on 24/10/2014, before being successfully released at Rdum tal-Madonna. Photo by Ben Metzger. BirdLife Malta has been collecting data on stranding cases since the late 70’s, in order to monitor high risk areas for shearwaters, and raise awareness of this issue. A first report published with the Light Pollution Awareness Group (LPAG) (2) in 2007 had looked into ways of mitigating the problem (3). Despite coastal development sites being subjected to permits demanding lighting schemes, the stranding phenomenon appears to be on the increase as a result of yet increasing coastal light pollution, to the detriment of shearwater populations (4). BirdLife Malta has appealed to government authorities and local councils to address the problem, while it also asked the public to report any cases of grounded shearwaters they come across. When found stranded, the majority of these birds can be quickly released back to the wild unharmed. Testimony to this is a ringed Yelkouan Shearwater (Garnija in Maltese) which was found nesting at Il-Majjistral in 2014. This individual had been reported stranded at Qawra in 2011 and was successfully released. “Although these efforts certainly help to save these birds, we need to address the cause behind these strandings,” added Dr Metzger. Scopoli’s Shearwaters are recognised by their grey-brown back, contrasting with a white under side and a large yellow bill. Reports of strandings can be addressed to BirdLife Malta on 2134 7644.